“Once upon a time there was a Daddy and a Mommy. They were very happy because God had given them a daughter but they were also sad because they so wanted to have another little baby in their home and a brother or sister for their daughter. No more babies could grow in the Mommy’s tummy. And then they heard of a Mommy who had a baby that she loved very much but couldn’t look after it and give it the things that babies needed, so she prayed to God and asked Him to find a new Mommy and Daddy who would be able to care for the baby. So one very exciting day the new Mommy and Daddy went to fetch the baby and took with them clothes, a bottle, a pink blanket and one bootee. This is the story we told Susie from the time she could understand. One day when we knew she was ready we changed the Mommy and Daddy to our names and the baby’s name to hers. A look of delight came over her little face. And so she learnt about being adopted. Being adopted was a normal, natural word in our home. Not something we spoke about every day as most of the time we didn’t even think about it. We had a funny little incident once when, after Susie had been naughty and my husband was to meter out some discipline, she informed him that he couldn’t discipline her because he wasn’t her father! As mentioned in a previous article we had told Susie that if she ever wanted to find her “Carry Mommy” we would help her. Only once in all her childhood did she ever make mention of finding her and it came out very unexpectedly. Driving her home from school she suddenly asked whether we were doing anything that day and when I answered that we weren’t she said well then we can go and find her mother. She was about eight then. Susan and her boyfriend, R-J as they prepare to go to Susan's Grade 12 leaving school dance. 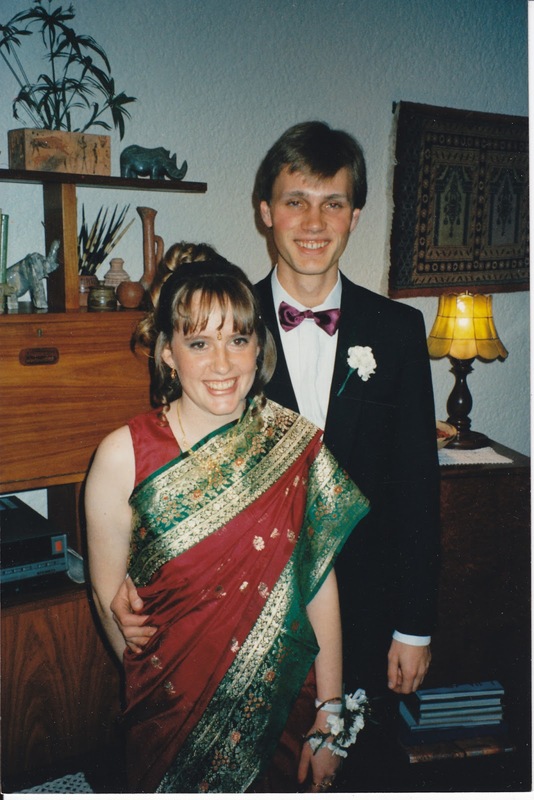 R-J had just got back from a missionary trip to India and Nepal, and Susan is wearing a sari for her Graduation dance. Susie met her future husband R-J when she was quite young and they dated for some four or five years before they got married, when she was twenty. It was then that she had a strong desire to find her mother. In her heart she felt that she wanted to tell her that she was doing well, that she was happy and that she was getting married. At that time she was at Bible College and R-J had completed his studies. They were preparing to go into ministry. We had made a promise to her and now it was time to prove to her that we would not go back on our word and that we would walk that road with her. I had utter peace in my soul and was ready and excited, I guess, to see how this was going to pan out. 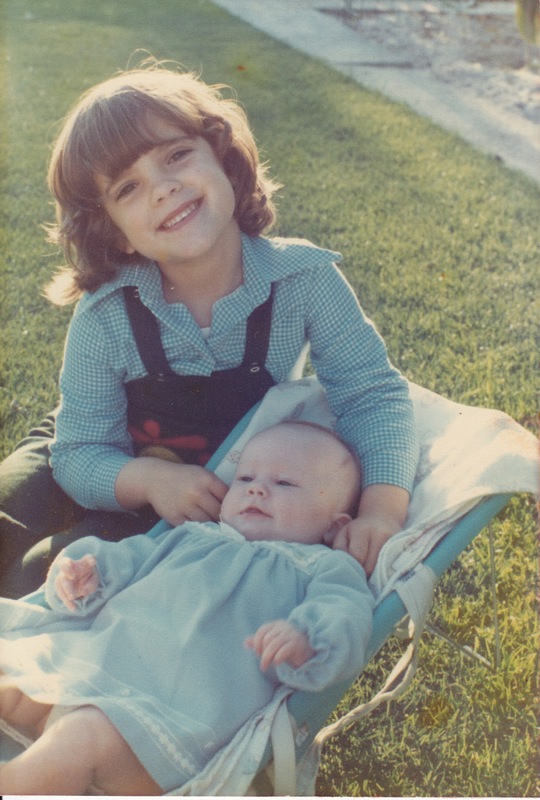 There was not even a slight feeling of anxiety or jealousy because I knew that even if she found her mother and they developed a relationship it could never be the same as the relationship that I had with her. Susan had a history and that history was hers to do with as she wished. God was utterly in control of any negative feelings because he was ready to do a miracle. And so we made an appointment to see the social worker at the agency. I had to go with her as she was under twenty-one and so still needed to give permission for them to draw the file. "You are the God of great wonders! You demonstrate your awesome power among the nations"